There are, in fact, sketches for the characters’ faces… somewhere. When I find them I’ll throw them up here. But really, when it came down to it, I wasn’t really looking at the sketches. So… what really happened? Well, I was intimidated by Ilana Brownstein. 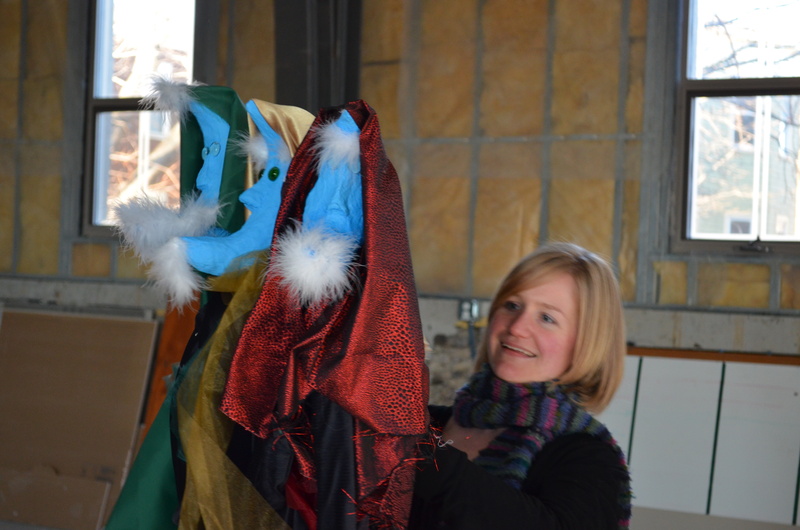 I had gone to the first C1 Playground, and proposed this puppet show based on the Nativity story because I couldn’t get it out of my head, and everyone was very “ooo” and “ahh” about it. And then I had to do it. When people “ooo” and “ahh” over your idea and it’s not even on paper yet, you just know, you know? That, and I felt like after saying something out loud, if I didn’t do it, would anyone ever believe me proposing something again? The fear was enough to make me go forward. So I went forward and made Mary and Joseph. Their heads are newspaper, covered in tin foil (which, really, was just because I didn’t have any masking tape in the house), covered in Celluclay. They have a hole in the base of the skull where I put a wooden dowl, and, in the original version, the down went inside a PVC tube, so that the neck and head could twist independently of the body. The arms were 1″ strips of green upholstry foam that ended in Celluclay hands shapped like mittens. Each mitten had a paper clip embedded in the palm, and each had a control rod tied to it with a twist tie. 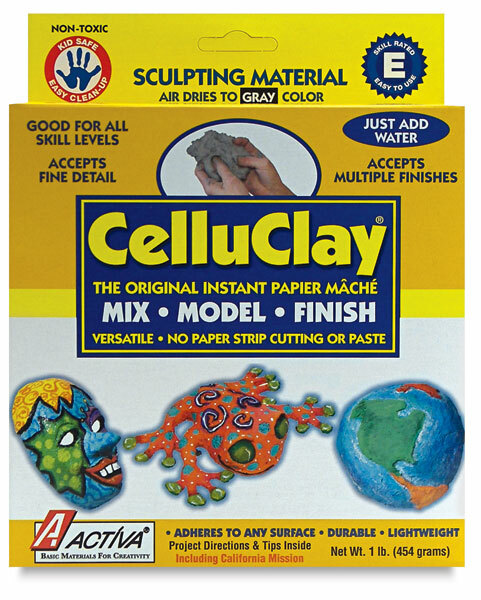 The Celluclay was recommended by… someone. I don’t remember. And at first I hated it. It was very lumpy, and the lumps made it difficult to form into a smooth skin. When I first made them I imagined I’d eventually make up something else and end up re-covering both Mary and Joseph more smoothly. That’s why I took them to the C1 playground all willy-nilly, in my laundry bag. They were proto-puppets at that point, never intended to become real. You can see them here. Once I got the hang of it it wasn’t so bad, and the Shepherd quickly joined Mary and Joseph. After that came the Innkeeper, who is shorter and more hunchbacked. And finally, the most challenging, the Magi. My Pastor tells us that there is no evidence that there were three Magi, or that they were kings. Still, the storytelling part of me is stuck on the idea of three of them. And the puppeteer part of me wanted them to all be played by one person. Thus, the three-headed Magi was born. Body built on a paper towel dispenser so it’s free standing, three independent heads on three independent rods so they can be moved separately, and only two arm rods among them, to lessen confusion. They fell over a lot. I swore at them. In the end, though, they looked ok.
Everything looked ok. Everything looked remarkably, amazingly, magically perfect. Despite all the challenges and problems along the way, it was really very good. And hopefully, it’ll be back next year.